This week Visibility 9-11 Welcomes to the program, author, radio talk show host, and long time activist Ralph Schoenman. Long active in political life, Ralph Schoenman has been involved in international resistance to imperialism and active in the workers’ movement in the United States. 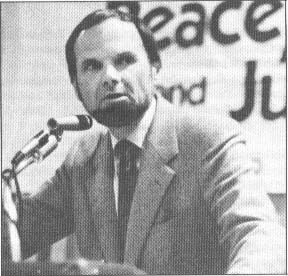 The author of several books and publications, Ralph has written and lectured on the topics of the assassinations of President Kennedy and his brother, Malcom X, Martin Luther King, and the events of September 11th, 2001. In this episode, Ralph discusses many of the problems with our present government and it’s propensity to do whatever it takes to hold onto their ominous power, including the infiltration and disruption of movements for social change. Discussions include the “Kennebunkport Warning” and the recent disruptive and divisive accusations by Webster Tarpley against prominent peace and 9-11 activists.